BEECK Renosil Fine in color C-100 (Off-White Light) was used during the façade restoration of this beautiful and unique dome-style home in Southern California’s Mojave Desert. 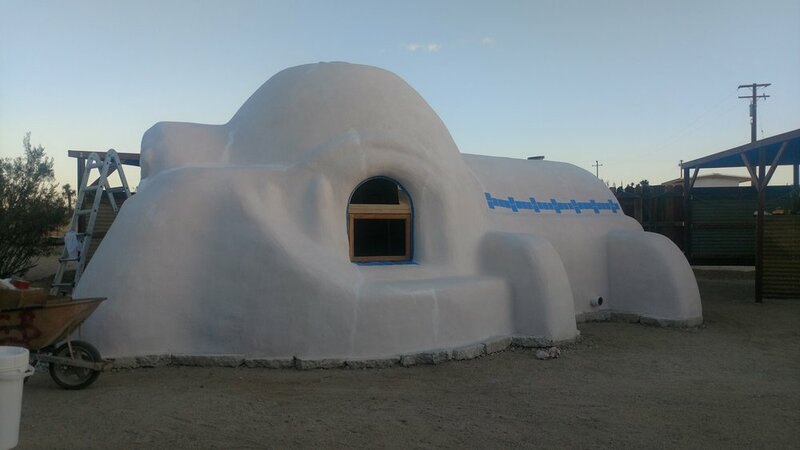 This one of a kind sustainable house built with solid earthen walls and natural lime plaster recently underwent a restoration to fix some minor cracks. All plaster repairs were completely hidden after two coats of BEECK Renosil were applied, restoring the home to its original splendor with a new highly breathable and extremely durable mineral silicate finish!